Lisburn Baptist was packed to capacity on 16th May for our annual Graduation Service. Friends and family joined with us to celebrate the achievements of our graduating students and praise God for all that He has done throughout another year at IBC. Congratulations to our full-time students Philip Geary, Nathan Ervine, Oliver Roebuck, David Cassells, David Kimber, Henry Capper, Sharon Hoy, Glen Burns, Hannah Brady, Mark Hughes, Gilbert Beck, Paul McAdam and Bertie Coffey. Please pray for them as some continue to seek God’s guidance for the future and others begin the next step in ministry. Twenty-seven people received a certificate or diploma in Christian Education depending on the length of their part-time study. Alan Wilson (DMin), Philip Scott (MA), Simon Curry (MA) and James Farmer received post-graduate awards during the year. 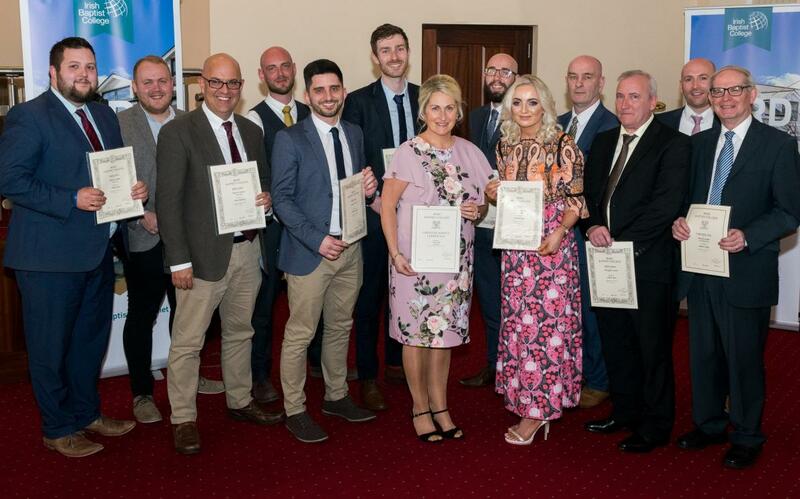 Paul McAdam, Charlotte McManus, Bertie Coffey and Oliver Roebuck were presented with special ‘John B Craig’ and ‘Hugh Burrows’ awards on the night – much to their surprise! Dr John Benton was the speaker throughout assembly week and shared with us from Revelation chapters four and five. He spoke on the majesty and glory of God which is found in the passage. He concluded by telling graduates that their job was to extol Jesus Christ, make Him clear and declare His glory. The offerings received during graduation and the Baptist Missions night for the Niall Wiseman Memorial Fund totalled approximately £10,000. We praise God for touching people’s hearts to give so generously and pray that He will be glorified as the money is used to reach people in Ireland with the gospel.